I do not think there will be many black metal purists preaching at the altar of Asguard’s latest album. Such fans will simply have trouble isolating black metal elements in Asguard’s music, if they would consider Dreamslave black metal altogether. It is, however, labels, promoters, some other reviews, etc. which are trying to label this band from Belarus, and failing miserably, as putting Dreamslave squarely amongst the works of one specific metal genre is a task both futile and unnecessary. 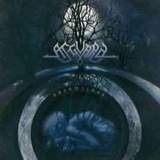 With Dreamslave Asguard upped the ante from their earlier works and released an album borrowing and blending many a genre, extreme as well as traditional old-school metal. Wikka, a release I reviewed not so long ago, was more of a collection of Asguard’s evolution to date, fusing their NWOBHM roots, melodic death riffing, pieces of black metal atmospherics and extreme vocals. With Dreamslave, Asguard realized upon Wikka’s potential, ratcheting up the tightness, showing both focus and urgency, and, of course, benefiting from some bucks thrown towards the production. If I was forced to describe the style of Dreamslave facing the barrel of a gun I’d go for a “commercial extreme” metal. As I have stated at the beginning, Dreamslave is probably a little too polished for a kvlt release, has little in a way of raw fuzzy guitar sound, and its lyrics deal with philosophical life choices and grief (more melodeath subjects), rather than praising Satan and imploring the hordes to stab the infidels and burn churches. At the same time, while using the orchestral section of the Mogilev Academy of Music (Belarus), Asguard manage to avoid the cheesy curse of pompousness which swallowed Cradle of Filth and Dimmu Borgir whole by now. Besides, amid fast blasting and tremolo moments (Master of Everything) these talented songwriters find room for NWOBHM profound and obvious melodies (title track), dark death metal riffs (Eternal Dream), Maiden-like bass strumming (Masquerade), very tasteful keyboards/piano splashes (title track, Dark Veil of Dreams) and unusual folk instruments (Crash of Hope and folk closer Where Once the Moon Rose). The whole album has unbelievable storytelling qualities. Asguard have the innate abilities to put just enough in every song, not to overwhelm, or bore the listener. These songs have epic quality (Supremacy over the World), without being epic in length. The band masterfully breaks the album in four acts, each preceded by a tablesetting piece, borrowing from classical music (Infinite Road to Hell), sounds of nature wrath (Time of Eternal Dream) or horror movies (In the World of Violence and Lies). With the atmosphere set, and breaks taken at the appropriate spots, Asguard can proceed without any fat included in the regular songs on the album, where darker atmospheres are now invoked by the tone of rhythm guitar rather than a synthesizer gimmick. In tune with the darker rhythm, lead often pierces the fabric with spot on solos (Masquerade). Alexander Afonchenko (who is the main songwriter in Asguard and handles the bass duties as well) goes for multitude of extreme type vocals, mainly of raspy, higher pitch shriek variety, but is not embarrassed to be augmented by a number of background voices. I am very proud when the bands from the part of the world I used to call home do not hide behind the “true” label and opt for a professional, commercial sound (Tvangeste), even though the drums may sound a little too triggered and synthetic to some. This Dark Reign has done extremely well to uncover Asguard and will have some trouble holding on to it, mark my words. Bigger labels like Nuclear Blast will come hunting for Asguard in the coming years, if they want to balance out the amount of cheese they have been putting out in their extreme symphonic departments. In the days when few can even point Belarus on the map, Asguard makes strong case not only for their own name, but for their country as well. If you thought it was difficult to release quality metal albums, multiply it by a factor of ten, given the communist dictatorship political climate in Belarus, and give Asguard the respect they deserve.